This term I have begun a class blog for my Year 7 English class. You can find it at http://7aqua.wordpress.com. As you can also see, I’ve also begun my own teacher blog (right here, right now) to reflect on this, and the many (hopefully exciting) things to come in my classroom. If you want to know a bit more about where I’m coming from, check my About Me page. For me, though, it’s a new frontier. It’s something that I’ve just begun, and that I’m excited about. I teach in a public, comprehensive high school. We generally run mixed-ability classes, but my Year 7 English class (7 Aqua) is a high ability class. Our Gifted and Talented program is organised so that there is an identified GAT group, and these guys are it. It is a dream class. The kids are engaged (not just on task, but REALLY engaged). There’s noise. They’re talkative. And they’re talking about what we’re studying! Not only that, but they are supportive of each other, accepting of new and different ideas, and we have amazing class discussions. At the same time, they need lots of feedback, and are challenging in that I need to find new and interesting ways to keep developing their thinking skills, and to differentiate the curriculum to meet their needs. I decided to try blogging with 7 Aqua (the first class that I have ever blogged with), as I knew they would get excited about it. They typically enjoy writing, they love technology, and they jump at a challenge. We have an Edmodo group, which they use not only to access class work, but they use it to ask each other questions and seek support and feedback from each other about their studies from across the curriculum. By now, in Term 4, I know the kids well, and the topic we are studying lends itself to bloggy dialogue, so I thought, why not? Hey, I should do a class blog! Our Term 4 unit is a core unit, studied by all of Year 7, called Our World, Our Future, with a focus on environmental texts. Our faculty program involves students studying a range of texts related to the environment. In a moment of inspiration during the last holidays, I decided that a class blog would be an excellent way to explore the issues, and a range of texts related to the environment, for a high-ability class. We would not only study the environmental texts, but we would respond to them in more depth and detail through the medium of the blog. I am a little (ok, a lot) impulsive. Let’s call it daring. Audacious might be better. Anyway, my point is, that I tend to get a great idea, and run with it. Quickly. So one day in the Spring school holidays, I thought, “Hey, I could do a blog with Year 7 for the environment unit!” And two hours later I had a blog for our environment unit. Done! I created the class blog on WordPress (a tool I was already familiar with). I found my theme, and wrote my first post. I wrote a letter to the parents. I decided I would get all the students to register with WordPress and then sign on as authors. Back at school this term, I emailed them all an invitation. I booked the computer room. And this is where my hasty decision-making met its downfall. We logged in to the system. We navigated to WordPress. What did we find? Of course, it was blocked. DEC blocked. Oops. Suddenly my audacity seemed reckless. I wasn’t adventurous, I was impetuous. Well, I thought, yes, I probably should have checked whether WordPress was blocked by the student server. I probably should have gone with Edublog (WordPress for education). Of course, it was very obvious after the fact. Where to next? Well, for Year 7, since we don’t actually have devices in the classroom, and no sign of BYOD on the horizon at my school, I figured they’d be primarily using the blog at home, so we’d go with WordPress. Maybe down the track I can port it over to Edublog. Maybe I won’t. Anyway, I stuck with WordPress (it’s more powerful, anyway) and it’s working. My students are authors. That means that when they post, they publish. I am not moderating their posts. (I am commenting on them, providing feedback, but I am not “checking” them before they publish.) I think that knowing that I trust them to publish what they choose has a big impact on their attitude towards the task. They take it VERY seriously. Of course, some more seriously than others, some lengthier than others, but their posts have, thus far, been thoughtful and relevant. I am moderating comments (mostly because of the general audience), but having my students know that I trust them to publish to the INTERNET is very important to what we’re doing. Of course, I might do this differently with a different class; feedback BEFORE publishing may well be crucial to the learning, but for 7 Aqua I am confident I have made the right choice. Have you checked it out yet? Go here now: 7 Aqua Blog. These kids are amazing. They are twelve and thirteen years old! At the moment they are sourcing environmental articles to respond to. They need to choose an article, summarise it concisely, and present their own perspective of the issue. You can read my sample blog and instructions here, and then go and see what my students have to say. Stop by and comment, if you have a minute. After all, that constructive dialogue is what blogging is all about. 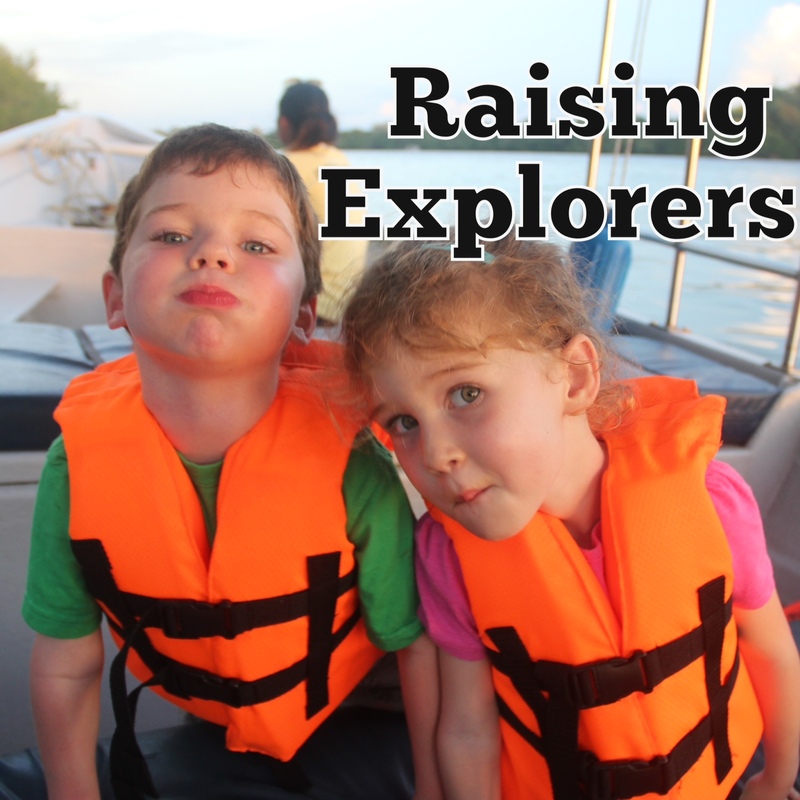 Class blogging: it’s a new frontier for me, and I am LOVING being an explorer. I hope my book blog was useful in class the other day. Thanks Sam. Your blog WILL be useful.